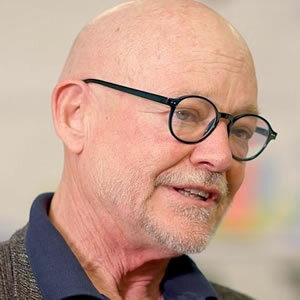 Get ready for the 2019 Lean in Design Forum keynote address from Cliff Moser, author of Architecture 3.0: The Disruptive Design Practice Handbook, on Thursday, May 30! Cliff will directly address both the challenges and opportunities shaping the future of design, and the future for designers. With this disruption, Cliff claims designers will be able to take on new roles inside and outside the profession, like the process analyst, and new practice models such as the knowledge engineer. When teams implement Lean throughout the project lifecycle, architects are empowered to take on these new roles and focus their creative problem-solving expertise in other project realms to contribute to the overall goal. Don’t be left behind as Lean and Architecture 3.0 shape the future of our design and construction industry! Register to learn from Cliff Moser’s keynote address and the rest of the program at the 2019 Lean in Design Forum, held May 29-30 in partnership with AIA and P2SL in Chicago. Create a My LCI profile to receive event updates in your inbox. Then, connect with LCI on Facebook, Instagram, LinkedIn and Twitter to post with the event hashtag #LCIDesign19 to see who else will join you at the industry-leading Lean design event of the year! << Back to "Lean in Action"